Continuing Studies at the School of the Art Institute of Chicago (SAIC) provides the highest quality educational opportunities in art and design through courses tailored exclusively for adults, including teachers, high school students in grades nine through 12, middle school students ages 10–13, and children ages four to nine. Our goal is to nurture and support life-long learning and the development of creative thought and practice in students of all ages. At SAIC we believe that having confidence in one's creative abilities plays a critical role in successfully meeting the unique challenges of today's world. We believe meaning and making are inseparable. 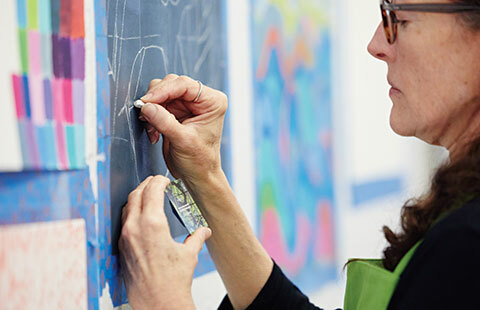 Adult Continuing Education (ACE) noncredit courses and certificate programs reflect SAIC’s educational philosophy, adapted for the adult learner. Explore new subjects, learn new skills, or refresh existing ones in our state-of-the-art facilities and studios. Experiment with new modes of creative production and pursue your creative vision under the guidance of our instructors, comprised of practicing artists, designers, and scholars. 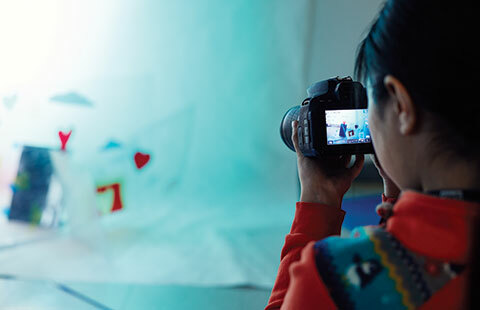 Learn to discover, explore, and imagine in SAIC's youth programs. Experiment with a variety of art materials and methods as you develop creative thinking and problem solving skills. Be inspired by our downtown location, exceptional instruction, and regular opportunities to explore the collections of the Art Institute of Chicago as you learn to think and do in a new world of visual communication and ever-changing technology.